I've got lots of happy knitting, are you ready? First off, I started my sister's holiday hat, she loved the one I made last year so I'm making another in a different color. I do love to knit the same patterns over again. 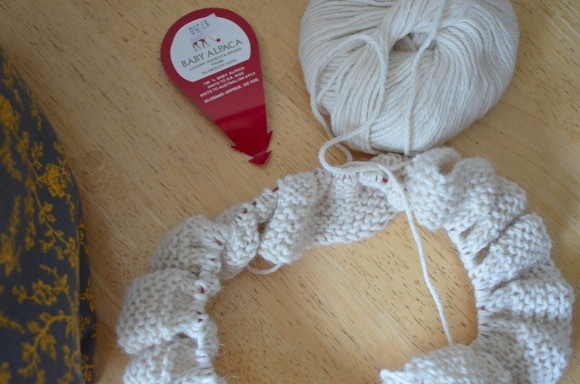 Speaking about knitting the same thing over and over again, I started another cowl. I'm trying to knit three more by the end of the month. I really enjoy monotony probably due to the stress I experienced last month. 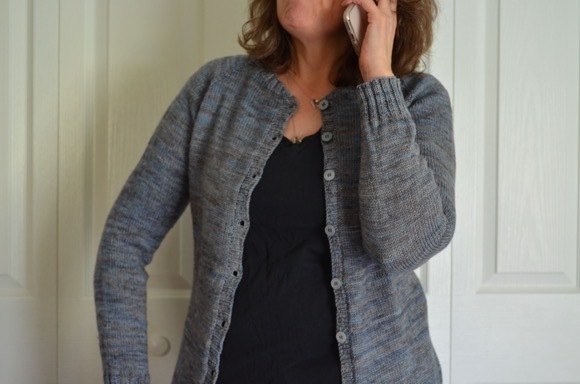 Having now stress is blissful and no stress knitting is even better! Yesterday, I started reading Catcher in the Rye and starting from the first sentence, I love it. I'm spending time reading classic books that I have not read (yet). Surprise, surprise, I finished another cowl! Congrats for sticking with Lord of the Flies. Not sure I could have kept up with a book I really didn't like. I'll be following along to see how you get on with Catcher in the Rye. I enjoy knitting the same things too. I find this especially true for my baby knits. Your knits look soft and beautiful. You have my hands itching to begin another yarn project. I have never read Lord of the Flies, but I had to read The Catcher in the Rye in high school and hated it. We all have different tastes in books. I hope you continue to enjoy it. I must admit The Lord of the Flies didn't appeal so I admire tour tenacity finishing it, I didn't. Your needles are certainly on fire you must feel good getting so much Christmas knitting done. I felt sad last week when you said that Piggy was your favorite character because I knew what was coming! I'm glad you've moved on to a somewhat better book. 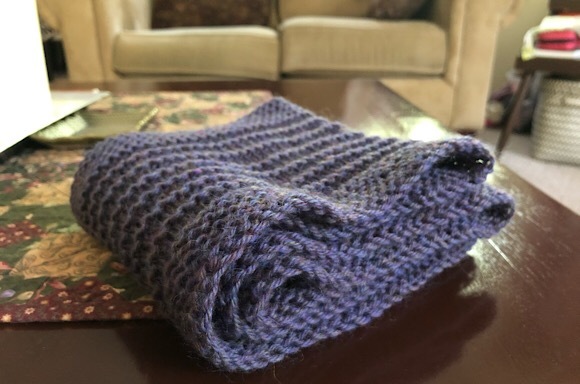 Your sister is sure to love that beautiful purple hat and the recipient of that baby alpaca cowl will be very lucky! I enjoy the monotony of knitting the same things over and over again too. Well, I enjoy them as long as they are relatively short projects. That cowl pattern looks like it could be knit up pretty quickly. I'm impressed with your classics reading. I always say I'm going to read them, I've even bought a bunch that I missed out on in school.... but they sit abandoned on the bookshelf. 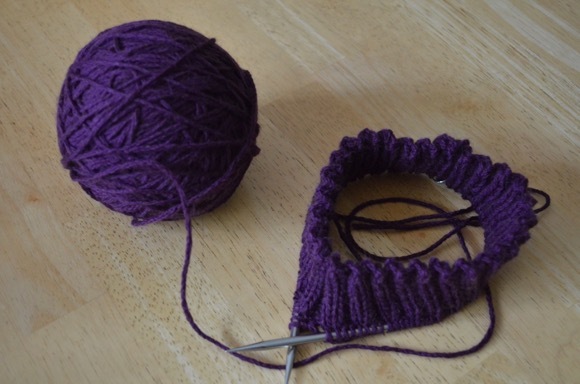 I tend to knit with some of the same kinds of yarn - I guess I like life to be predictable. If I happen onto something I want to try, I do that with single skeins - especially for socks and shawls. I have a sock recipe and a boomerang shawl recipe that I love to knit. Is this a sign of increasing age or just a personality trait? 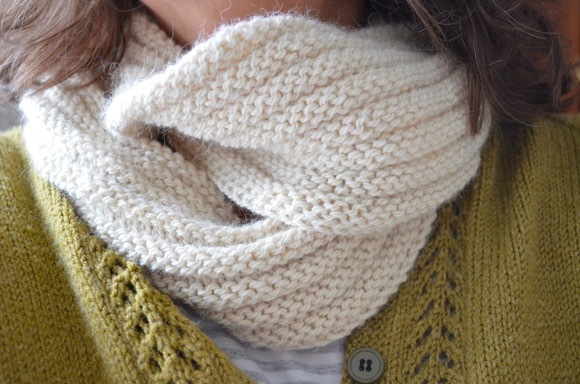 Will you be making dozens of cowls? 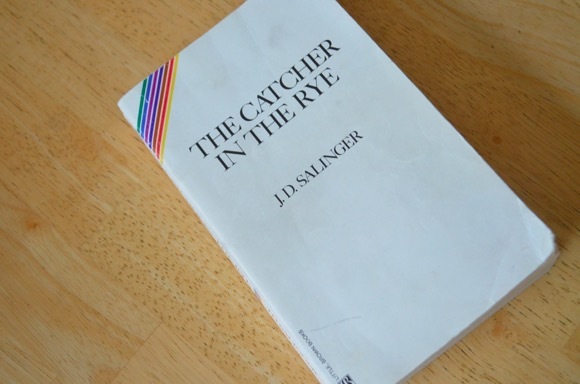 I couldn't get through Lord of the Flies, but I loved Catcher in the Rye. I knew/know too many Holden Caufield's. Lucky sister! Have you ever tried the Hillview Road cowl? I think you'd like it! You go on the classics reading! Shoot, Survivor ain't got nothin' on Lord of the Flies. My daughter's class just finished Mice and Men. She missed the movie session b/c she had to leave early for a match yesterday and today she's home sick. I know they are slated to read the Henrietta Lacks book and The Odyssey.